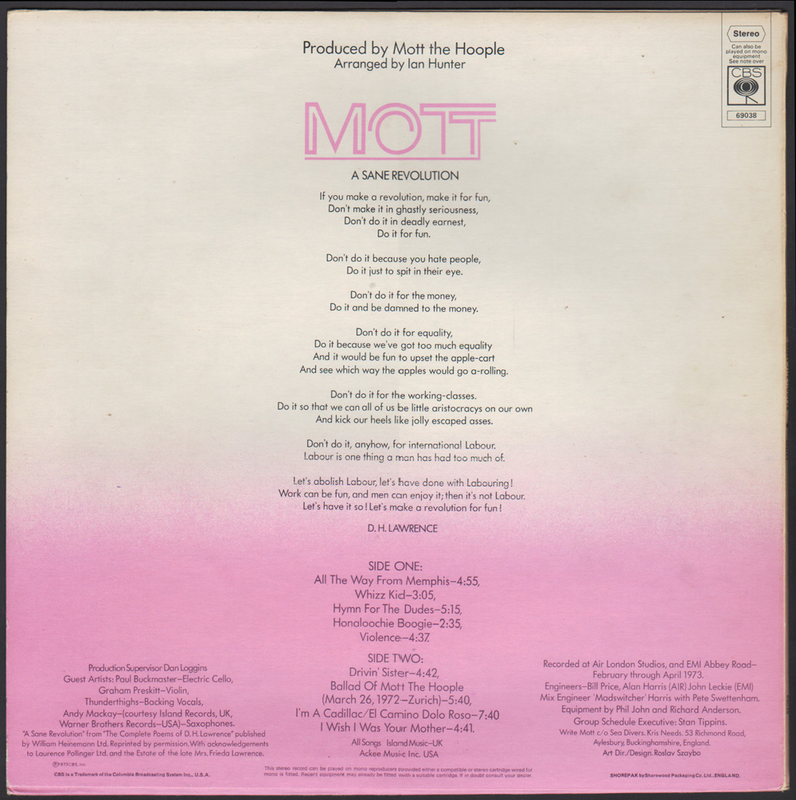 In the summer of 1973, three words mattered to me - Mott The Hoople. Yes, I had been "into" (using the contemporary vernacular) David Bowie since the autumn of 1972, but even then, at 14, there was something a little bit to effete about Bowie upon which to focus my adolescent admiration. 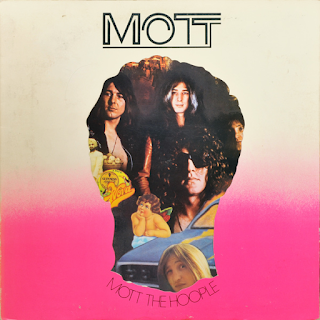 Mott The Hoople were different. They were LADS. Why they looked like some of the perfects did at my school - long hair, Afghan coats, big flares. 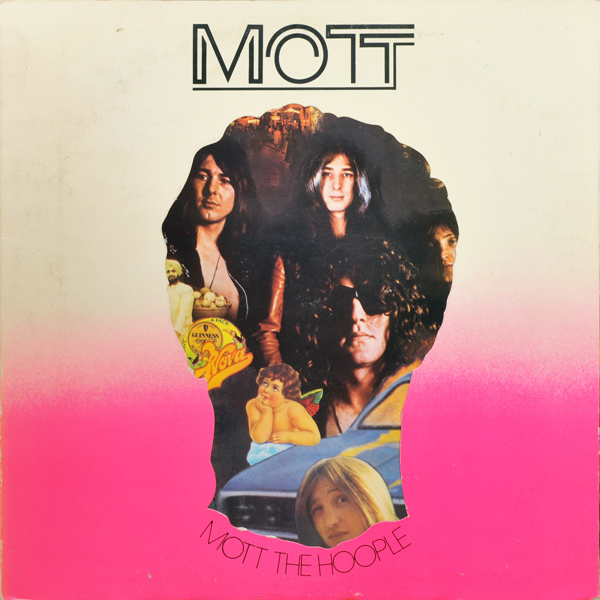 I always felt Mott could handle themselves in an apres-gig row though. No-one would push Ian Hunter or Mick Ralphs around. Like The Clash after them, or The Jam, they were "our band". A band of mates or big brothers to look up to. To the music. Ian Hunter's extended piano introduction to the iconic "All The Way From Memphis" set out the stall of this rocking good album. "Whizz Kid" continued the rocking vein before we got all reflective with one of Mott's many killer big-production ballads, "Hymn For The Dudes" (name checking their breakthrough chart hit from the previous summer, "All The Young Dudes"). Another chart hit followed, the catchy "Honaloochie Boogie" and the the chaotic "Violence" where they showed they could indeed "handle themselves in a ruck". 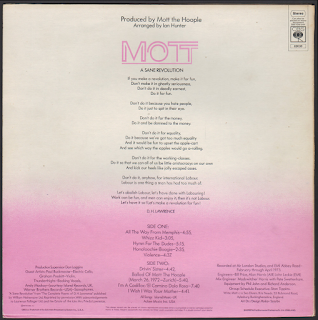 "Drivin' Sister" is another classic Mott rocker and "Ballad Of Mott The Hoople" another corking "slowie" as Hunter details the band's travails, name checking them all. "I'm A Cadillac" is probably the album's rambling low point with its extended instrumental fade out, but "I Wish I Was Your Mother" is a fine Hunter "Dylanesque" folk-rocky end to proceedings. Bands got away with 30 minute albums in those days. As those went, this was up there with the best.